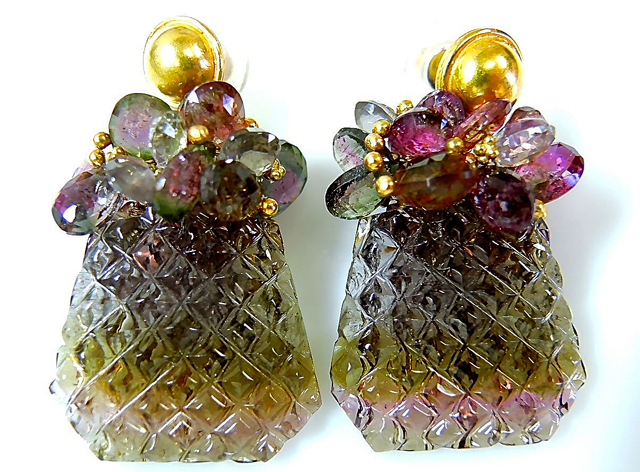 A stunning pair of 14kt yellow gold pineapple motif earrings, featuring 2 tapered checkboard cut medium greenish grey tourmalines, approx. 26.25x19.0x4.23mm and 34 facetted briolette light green-brownish green tourmalines, est. 12.02ct with small gold beads between the briolettes.